Christian Theist collects quotes, random musings, and other oddities along my journey to conform my mind to Christ and my life to the cross. For additional discussion of the book, both Paul Manata and Paul Helm have also written reviews. 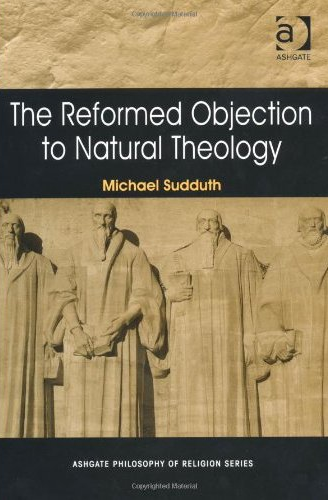 The Reformed Objection to Natural Theology is available from Amazon. Dave Bish has pointed out three great sessions from the 2010 Newfrontiers Leadership conference that are worth listening to. The sessions are set up to address and assess three books that have become incredibly popular in the Christian world: Tim Keller’s The Reason for God, Rob Bell’s Velvet Elvis and Tom Wright’s Surprised by Hope. Led by Andrew Wilson, Adrian Birks, and Mick Taylor, the panel considers each individual book’s strengths, weaknesses, and ways in which each they provoke and stimulate Christian thought. It’s a really helpful discussion, both in the content of their comments and the spirit in which they are given. Led by Andrew Wilson, the panel examines Keller’s discussion of hell, whether an understanding of God’s passive wrath might undermine penal substitution, the importance of understanding the context of doubt, how we can draw the line between the literary genres of the creation account and the fall narrative, death and evolution, and much more. 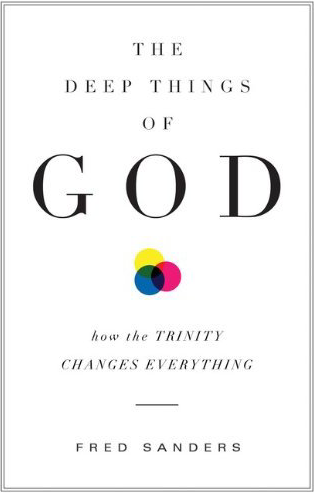 Fred Sanders’ new book The Deep Things of God: How the Trinity Changes Everything doesn’t launch till the end of the month, but is already generating considerable buzz. More than a mere crowd-pleaser, Deep Things clearly demonstrates that Sanders understands not only what perplexed Christians want (and who doesn’t long to understand the Trinity in simple terms?) – he knows what they need. For an evangelical generation enamoured by The Shack and Joel Osteen, Sanders argues that both our neglect of the trinity and our aversion to theological detail is rescued by first realizing that the trinity is not a complex idea, but an immediate reality. We don’t need to be talked into the theory, he suggests, but shown that, as Christians, we are already deeply involved and shaped by the triune life. Don Carson’s literary output is rightly lauded. This year he is publishing at least seven titles across a wide variety of topics, from the redemptive storyline of the Bible (The God Who is There) to the health and future of evangelicalism (Evangelicalism: What Is It and Is It Worth Keeping? ), and even the redefinition of tolerance in civic discourse (The Intolerance of Tolerance). However, for those who are interested in better understanding the Bible, his upcoming collection of essays on the doctrine of Scripture will be most keenly anticipated. Complied by Andy Naselli and released in two parts, the Collected Writings on Scripture reproduces articles and book reviews from Carson’s thirty years of teaching and ministry. Navigating readers through recent hermeneutical and theological debates, Carson explores issues such as truthfulness and authority, interpretation, redaction criticism, and unity and diversity in the New Testament. 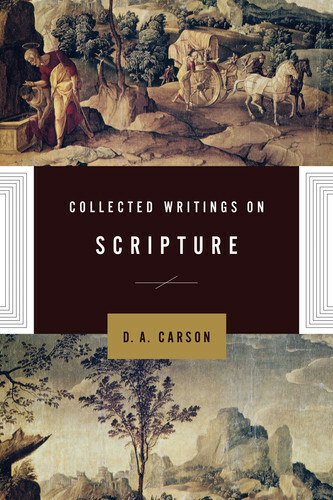 The doctrine of Scripture remains one of the most contested flashpoints in theological discourse and having the best of Carson’s ever-illuminating thought on this topic together in two volumes is an exciting prospect. The Collected Writings on Scripture is available from Crossway and Amazon. The great advantage and attraction of philosophy is that no question is scandalous to it. Nothing lies beyond its critical gaze. With its tools of analysis and reason, philosophy is well placed to operate as a meta-discipline (or second-order discipline), able to clarify concepts, arguments, and other cognitive issues internal to a field. At a foundational level, it can examine the presuppositions and assumptions within a discipline, as well as providing a conceptual grid and common lexicon to relate different disciplines. Philosophical theology is a branch of theology which seeks to take advantage of just this – applying philosophical methods and techniques to clarify theological doctrines. Distinct from the philosophy of religion (or natural theology) – which takes a preparatory, justificatory role to the enterprise of theology itself – philosophical theology is not neutral but assumes and works from certain theological tenets. Questions such as the concept of God, the nature of divine attributes, the nature of divine knowledge, God’s relation to time, God’s relation to humanity, and the origin and ground of our ideas of God, all make up the subject matter of philosophical theology. It’s important to point out that modern philosophy, however, has not been always so friendly to the project of theology. In fact since the eighteenth century, its role has been much closer to mortician than handmaiden. 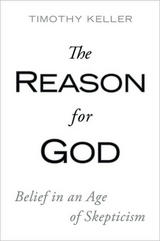 David Hume’s assault on miracles and proofs of God’s existence, Immanuel Kant’s rejection of our cognitive ability to get beyond the limits imposed by the empirical world, the Vienna Circle’s trumpeting of the verification principle and insistence that theological claims fail to express meaningful propositions, and many others have all seriously challenged not only philosophical interest in theology, but also the viability of doing theology at all. Quickly, naturalists found themselves a mere bare majority, with many of the leading thinkers in the various disciplines of philosophy, ranging from philosophy of science (e.g., Van Fraassen) to epistemology (e.g., Moser), being theists. The predicament of naturalist philosophers is not just due to the influx of talented theists, but is due to the lack of counter-activity of naturalist philosophers themselves. God is not “dead” in academia; he returned to life in the late 1960s and is now alive and well in his last academic stronghold, philosophy departments. The Reader in Contemporary Philosophical Theology is a new textbook, coming out at the end of this month, that speaks to this resurgence of interest in Christian doctrine. Edited by Oliver Crisp (based at the University of Bristol, England), the Reader features articles by these leading philosophers apart of this new renewal of Christian philosophy. Addressing traditional theistic doctrines from the infallibility of Scripture to penal substitution, the textbook will definitely interest both theologian and philosopher alike. I am a little surprised at the exclusion of any discussion of divine providence and divine knowledge (perhaps understandable because these are often more standard fare in some philosophy of religion textbooks), but the lineup still looks strong. Both enterprises will not be hurt by cross-discipline interest and in fact theology especially has much to gain from philosophy, and particularly in the rigorous thought of the analytic tradition (unfortunately, many prominent theologians are inordinately captured by continental philosophy). With so few books around like this one, I’m excited about getting my hands on it. Erasmus famous statement summarizes the bibliophilia that many of us know well: “When I get a little money I buy books, and if any is left I buy food and clothes.” And for those who are interested in becoming better acquainted with apologetics, this new work will be a prized investment. It is said that the only thing worse than nostalgia is amnesia. Christian Apologetics Past and Present is a book that will go a long way in helping to address the amnesia of the church. 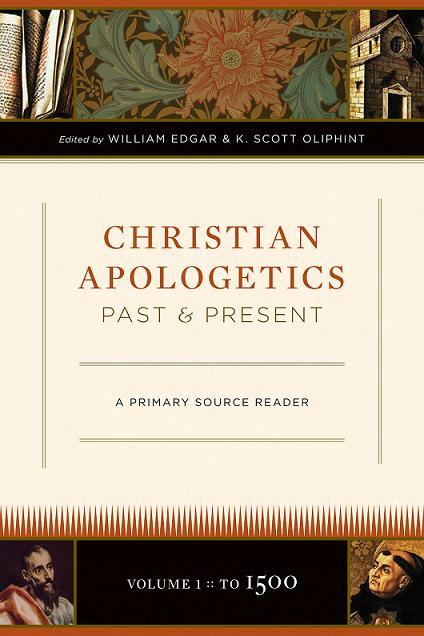 In it, William Edgar and K. Scot Oliphint have corralled some of the primary source documents of the earliest apologists and given us a valuable link to the intellectual heritage that the we all share. The book will be released at the end of this month and is the first of two proposed volumes featuring original writings of important apologists throughout history. Volume 1 presents documents from the time of the early church (100-400) to the Middle Ages (400-1500) and will feature thinkers such as Aristides, Justin Martyr, Irenaeus, Tertullian, Origen, Athanasius, Augustine, Anselm, and Thomas Aquinas. This primary source reader will not just be a collection of original texts. Along with timelines and maps, each section is introduced with a commentary on the biographical and historical context of each thinker. Each text is also followed by questions that can be used for group discussion or to stimulate personal reflection and study. Edgar and Oliphint are both professors of apologetics at Westminster Theological Seminary in Philadelphia and authors of numerous books. I haven’t encountered much of Edgar’s work, but what I’ve read of Oliphint (Reason’s for Faith) has left me wanting more. While Christian Apologistics Past and Present isn’t exactly the book for me to do that, it still looks to be a useful reference guide. We cannot afford to neglect our roots, and our witness to Jesus Christ will doubtless benefit from knowing the arguments that have shaped the apologetic enterprise and buttressed “the faith that was once for all delivered to the saints”.